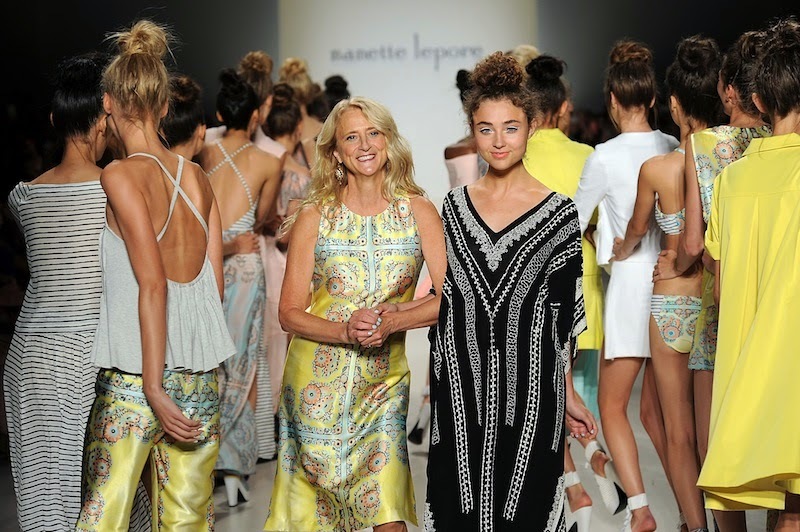 This Sunday, I has the amazing opportunity to attend Nanette Lepore’s Spring 2015 show and I also got to go backstage with Chictopia and JCPenney. Reason why I wanted to share some of my favorite looks from the runway. There were so many amazing looks that I don’t even know where to begin. This Spring Collection was inspired by past vacations in California and the South of France. There is a great mix of light yellow, tranquil blue, and blush pink. I really loved the laid back vibe with the loose bun and the comfy flatforms. While being backstage, I found out that the daughter of the designer, Violet Savage, was also walking the runway (she is just 16 years old!!). It was her first time walking as a model after years and years walking with her mom at the end of each show. But that’s not it, Violet daughter is the inspiration for Nanette Lepore’s affordable line at JCPenney called L’Amour Nanette Lepore. 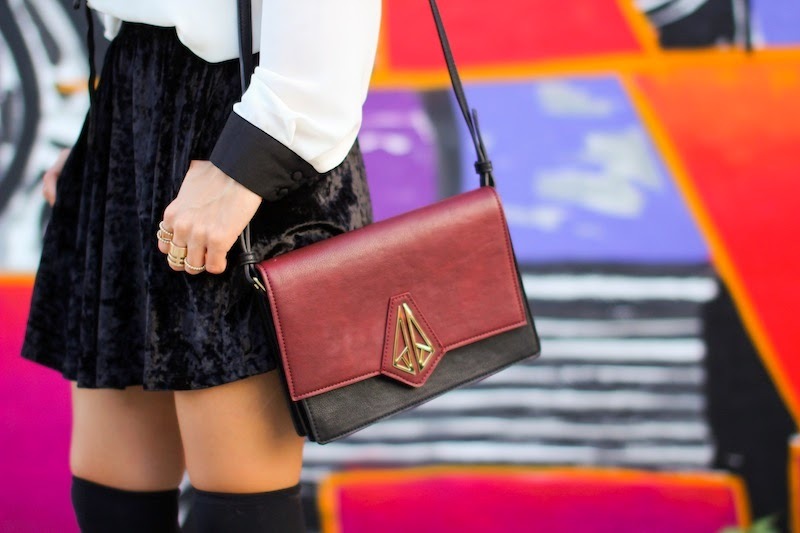 I can’t wait to wear one of my favorite pieces but first I want to share some amazing pieces from the line… can you believe everything on the site is under $30? The skirt I am wearing above is from L'Amour too! El domingo tuve la increíble oportunidad de ver el show de Nanette Lepore y estar detrás de bastidores gracias a Chictopia y a JCPenney. Estando detrás de bastidores me enteré que la hija de la diseñadora, Violet Savage, iba a modelar durante el show- era su primera vez modelando sola ya que desde muy pequeña caminaba el final de la pasarela con su mama, la diseñadora. ¿Qué look fue tu favorito? Espero tu comentario debajo! OMG I am obsessing about this line!!! Didn't see any looks I really cared for in her JCPenny line, but only because I can't picture pairing them with my current wardrobe. The runway line though??? BEAUTIFUL!!!!! Looking for pieces like these in my local stores <3. Love this back to school inspired outfit so much!